May has everything in line to be a special month for the Cascade Blues Association and the blues in Portland. 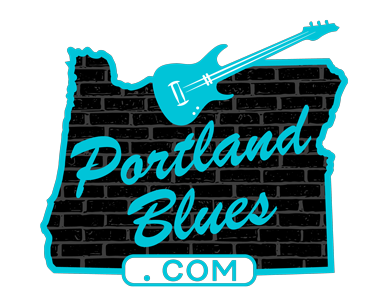 We will be celebrating our 30th anniversary at McMenamins Crystal Ballroom later in the month and crossing our fingers for our local artists nominated for the Blues Music Awards happening in Memphis a week earlier. But the right way to kick it all off, as is every month, is to attend the CBA’s General Membership Meetings. Always the perfect place to check out a couple of our local musicians in a cozy setting with dancing and friends. This month we’ll be bringing a couple of acts that have always had great reception when performing for us. Opening May’s meeting will be The Hellhounds — “Patio Pete” Gallatin and CBA Membership Secretary Fred Morgan have each been playing the blues for over fifty years and have been playing and performing together in the Portland area for close to five years. Both found inspiration from traditional blues and folk artists. Pete notes the vintage pre-war styles of Robert Johnson, Charlie Jordon, and Leadbelly among those who affected his playing. 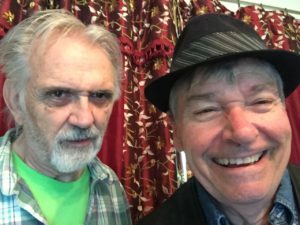 Fred points originally toward Josh White and Dave Van Ronk, but truly found his calling following meeting icons like Rev. Gary Davis, Mississippi Fred McDowell, and Furry Lewis. Both are adept guitarists with Fred taking on the acoustic six and twelve string, while Pete brings his slide-work as well as his harmonica to The Hellhounds. The duo offer a lively, entertaining walk through the history of the blues playing the hits of the 20’s and 30’s with some more contemporary songs thrown in for good measure. 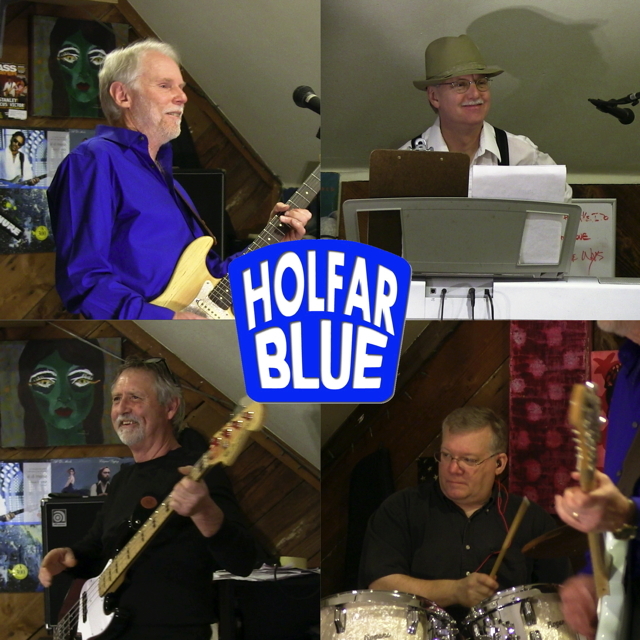 For the second set of the evening will have Holfar Blue who have been delighting audiences in the Portland region for the last six years. They’ve steadily built a loyal following through their live shows and self-produced recordings and each of their performances are unique with their original music blending elements of modern blues, jazz, R&B soul, and rock. Along with their originals they weave in artful covers of classic blues and rock rarities, including songs from artists such as Jimi Hendrix, The Animals, The Doors, Little Richard, Bob Dylan, and Van Morrison. Fronted by Michael Houlberg on lead vocals and guitar, he also writes their original material. After playing for many years for various bands in LA and San Diego, and having an eclectic ear for a wide range of music and his songwriting will make you think of other writers who marry diverse styles of music with clever and thoughtful lyrics. With seasoned band mates Dave Farrell on keyboard, Pat Bizon on bass and Brian Parks on drums, the quartet’s lively music and thoughtful lyrics will give you something to think about that’ll stay with you. The band has a handful of self-released CDs and EPs including “Blue Suede Cadillac” (2012), “You Need Truth” (2013) and their most recent “Heard A Hound Dog Howl” (2017). All are available on Bandcamp. Holfar Blue is a labor of love. A seasoned group of professionals in other fields, but they share a deep appreciation of music. They enjoy exploring the spaces where blues, jazz, and rock collide. Don’t miss out on another exciting evening at The Melody Ballroom for the CBA’s monthly meeting. It’s a fun time with chances to win prizes through our ticket drawings, learn about what’s coming up in our area, listen to great blues artists and to hang out with good friends. Hope to see you there.